Silver Lakes Silver Lakes Rv Resort And Golf Club Homes: 1056 DIAMOND LAKE CIRCLE IS A SILVER LAKES HOME WITH A GREAT AMOUNT OF SPACE AND STORAGE (ACTUALLY ON TWO LARGE LOTS WITH ONLY ONE HOA FEE). THIS BEAUTIFULLY FURNISHED 2B/2B PROPERTY HAS ROOM GALORE WITH A LARGE LIVING ROOM, DINING ROOM & AND BREAKFAST/LUNCH ROOM ALL ADJOINING AN ENORMOUS SCREENED IN LANAI ( 668 sq ft UNDER ROOF )WITH A BOTANICAL GARDEN LIKE VIEW OF A POOL AND YOUR OWN PRIVATE PARK. IN ADDITION ,THIS LARGE PARK MODEL HAS A THIRD ROOM THAT MAY BE USED AS A GUEST AND/OR CHILDREN'S SLEEPING AREA, IT ALSO HAS A SMALL CRAFTS/SHOP ROOM AND AN OUTSIDE SHED FOR ADDITIONAL STORAGE. ALL THIS IS OFFERED IN WITH ONE OF THE BEST COMMUNITIES IN SW FLORIDA WITH NUMEROUS ACTIVITIES AND FACILITIES AS WELL AS A POPULAR 9 HOLE EXECUTIVE GOLF COURSE. Silver Lakes Silver Lakes Rv Resort And Golf Club Homes: Siver Lakes R.V. Resort: Beautiful 2008 Jacobson park model (many upgrades),2 bedrooms, 2 bath, all tile floors, micro wave, washer/dryer, travertine floors throughout, stainless steel appliances, 3 m on all windows for sun and hurricane protection, 2 walk in closets, lanai ( 10 wide x 40 long, the lanai is an additional 400 square feet, Site includes:Water, Sewer, Cable T.V., Automatic Irrigation, Tel. Availability, 9 hole executive golf course, Heated swimming pools & Jacuzzis, All weather tennis courts, Shuffleboards, Welcome center, Club house with dance floor and banquet facilities, Fitness center, Pool tables, Laundries, Restrooms with showers, Planned social activities and events. Gated security.Own your land. Silver Lakes Silver Lakes Rv Resort And Golf Club Homes: A Beautifully updated 2BR Park Model in a great Silver Lakes Location only one block from the main Club House, Pool & Tennis. The LR/DR/Kitchen area is a worm and friendly open concept adjacent to a newly developed sun room. This unit has been very well maintained and has new cabinets and a built in storage area. A move in ready buy in one of the most popular and inexpensive locations in SW FL. Silver Lakes has abundant activities and facilities for your enjoyment including, two Club Houses, Pools, Tennis, Bacci, and an excellent golf program on a very popular 9 hole executive Golf Course. CALL FOR AN APPOINTMENT TODAY. Silver Lakes Silver Lakes Rv Resort And Golf Club Homes: Located in Silver Lakes RV Resort in between Marco Island & Naples, FL. Built in 2007 this is a very well maintained 2 bedroom/2 bathroom home with large screened in lanai off the living area at the front of the house. A storage shed is also on the property for extra storage. This home has a wonderful location in the resort with private preserve behind the home and nice tropical landscaping at the front. Silver Lakes Silver Lakes Rv Resort And Golf Club Homes: Enjoy the Florida resort-style living at Silver Lakes RV resort 7 Golf Club. 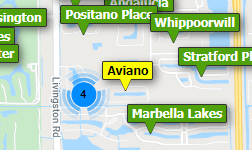 Ideally located in between Naples and Marco Island on Collier Blvd. This 2 bedroom home offers a modern kitchen with stainless steel appliances, spacious living room, built in cabinetry in the bed rooms. Relax on the elevated screened lanai over-looking the lake. This home is being sold furnished and ready for you to enjoy. This unit has a new A/C installed summer of 2018 and new roof as well. Silver Lakes RV Resort has many amenities for you or your guests to enjoy and is a very active resort. Take advantage of joining this resort and enjoy Southwest Florida's incredible warm weather. Silver Lakes Silver Lakes Rv Resort And Golf Club Homes: GREAT LAKE VIEW, This 2007 1bedroom, 1 Bath Jacobson Park Model has been excellently maintained and is in a very popular Silver Lakes Location. The open concept LR/DR/ Kitchen has a beautiful lake view and adjoints a finished glassed in porch with a sleeper bed for guests. It also features all tile floors, Corian counter tops, 3 ton AC, & washer/dryer. The HOA fee includes; water, sewer, cable TV, lawn Maintenance & garbage pick up. Silver Lakes is a friendly walking/golf cart community with activities galore, including Tennis/Pickle Ball, a 9 hole executive golf course, swimming pools and club house with dance floor and banquet facilities. Own your own land & live in a very popular & economical SW FL Community. Silver Lakes Silver Lakes Rv Resort And Golf Club Homes: NEW LISTING WITH VERY FAVORABLE PRICING 1017 SILVER LAKES BLVD This Park Model in a great location across from the Club House, Pool, Tennis Court, and Golf Course. This Unit has a very nice open concept Kitchen/Dining/Living Rm with two Bed Rooms and one bath, with a great view in the 24 x 10 lanai. the Guest BedRoom has a murphy Bed and also can be used as a crafts or office. New Roof and siding being completed by owner. this PM is fully furnished and is on a large 45 x 90 lot. Silver Lakes offers Automatic Irrigation, Tel. Availability and is is full of activities galore and has a very popular and inexpensive 9 hole Executive Golf Course. The park also has 3 Heated Swimming Pools and Jacuzzis, Top Quality All Weather Tennis Court, Shuffleboard, Welcome Center, Clubhouse with Dance Floor and Banquet Facilities, Fitness Center, Pool Tables, Library, Restrooms with Showers, Planned Social Activities and Events, with gated security, MUST BE SEEN TO BE APPRECIATED. Need professional assistance selling your property at Silver Lakes Rv Resort And Golf Club Naples? Find out how an Area Specialist can help to generate more property exposure in order to get the most money for your investment in the least amount of time.